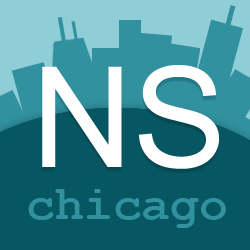 We are a monthly meetup on the last Tuesday of every month for Chicago Mac and iOS developers. It's BYOB and we typically order delicious pizza as well. More information on Meetup.com. Please do! Our hosts need to know your name to get through building security. You can RSVP here. I'm not a Mac or iOS developer but I'm passionate about the platform, can I still attend? Absolutely! We welcome anyone interested in discussing Mac and iOS development and general technology topics. Certainly not! Though some coding does occur, we also do a lot of just chatting and hanging out. It's up to you! I'm new to Mac/iOS development, what else should I know about? Definitely get yourself signed up for the CAWUG mailing list, and be sure to check out Cocoa Heads! You can also follow us on Twitter for the latest happenings. We strive to make NSCoder an inclusive gathering. Our code of conduct applies to everyone involved in NSCoder. If you have any concerns please talk to the leadership team.